Thank you to all who commented on my improv quilt! I really do appreciate the feedback on the colors and design. I’ve been making progress on this quilt. I continued the improv on the back of the quilt by cutting strips of random widths. 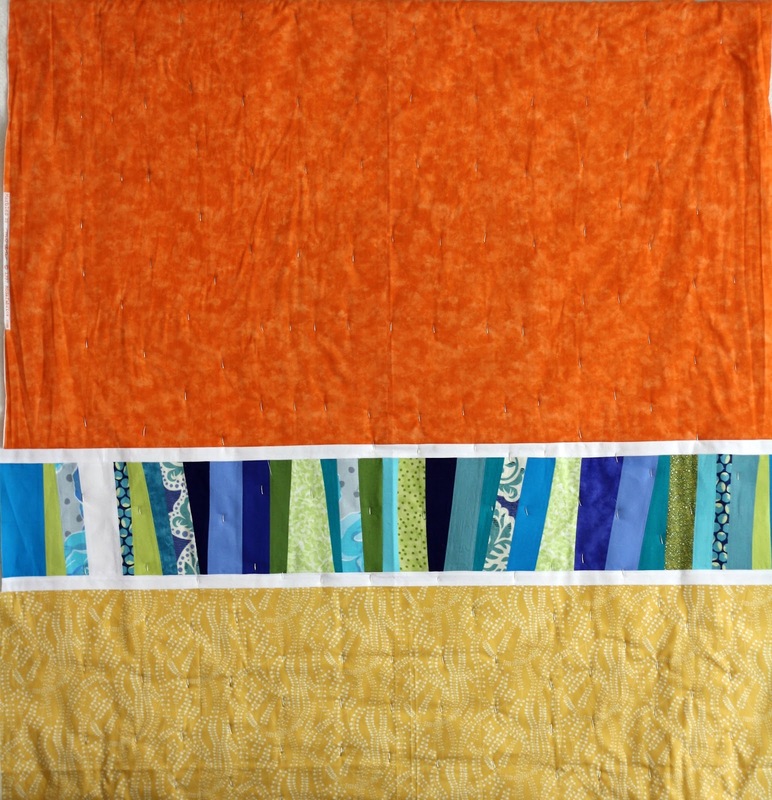 I sewed them together and pieced them with orange and yellow tone-on-tone prints. I wasn’t sure about this backing, but when I stepped away from it and viewed it from a distance I felt right about the combination. I decided on random straight lines for the quilting to complement the randomness of the improv blocks and introduce randomness to the white space. I’m loving it! I can’t wait to see it all come together! I’m hoping to share the finished quilt with you soon. Somehow missed seeing this over the weekend – it's fun and I really like the improv on the back AND the random quilt. Nice!